The goal is to improve student achievement through the use of a Digital Learning Environment entitled iLearn.PSD. Its purpose is to allow continuous access to instructional content, increase student engagement, and provide a collaborative learning environment appropriate for the 21st century. The iLearn.PSD digital learning environment consists of professional development programs, online systems, mobile computing devices and technical support systems. 1. Implement continuous professional development to ensure alignment with best practices for Digital Learning. 2. Create and utilize a digital learning environment, enabling teachers and students to communicate and collaborate digitally. 3. Provide a device to staff and students that will allow them to interact with each other through a digital learning environment any time, any place. 4. Provide the resources necessary to ensure daily and effective use of the mobile devices and the digital learning environment. What will students do if their laptop breaks? Students can go to the iLearn Service Center, located in room F218, for any repair needs. If the laptop cannot be repaired quickly, a loaner laptop may be issued temporarily. What if our family does not have Internet access? The Pattonville Hig School library will continue to be open until 7:00 p.m. Monday-Thursday. Students can also take advantage of business and community organizations which have provided wireless "hotspots" for student Internet access. What if my student misuses the laptop at home or school? 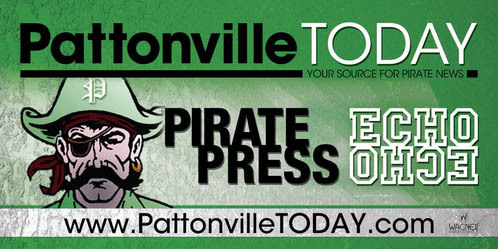 We have developed three sanctions which can be applied by the Pattonville High School administrators as a disciplinary consequence or due to parent concern. These sanctions can limit websites and/or games/apps. What if my student's laptop is stolen? Our laptops will be equipped with tracking software which can be turned on if the device is stolen.